The basics of inbound marketing involve attracting visitors, converting visitors to leads, nurturing leads to become customers, building loyalty among customers, and analyzing the process for continuous improvement. And at its core, inbound is about providing contextual, purposeful experiences that appeal to our humanity and delight us as individuals. Inbound relates to more than just marketing; it’s a movement. As was made obvious at HubSpot’s 2013 conference, the inbound experience extends deep, touching on what we do and why we do it. It includes everything from marketing and business to our own personal inbound moments. From a marketing perspective, inbound is about authentic and transparent communications that connect with consumers in meaningful ways. Inbound best practices serve as a reminder that we’re human, and we’re working to help businesses and brands connect with other humans. Marketers and consumers are not bots or datapoints, and it’s the intersection of artistry and science that connects us all. This overarching theme came to a head when HubSpot co-founders Dharmesh Shah (@dharmesh) and Brian Halligan (@bhalligan) presented their keynote. 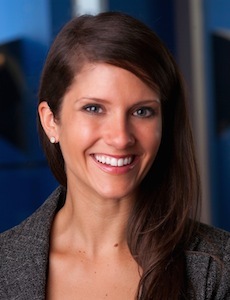 The presentation outlined HubSpot’s vision and how its software will turn it into practice. To that end, technology is continually advancing to the point where marketers can extend across silos to connect with those interested in their brand in more contextual, comprehensive ways. It’s this human touch that guides the latest in marketing technology, and will continually drive results and lasting connections. The inbound experience transcends marketing; it flows into business best practices. Look inbound into your organization: What’s the purpose of what we go to work every day and do? Many keynotes reminded our team about building a business that matters. They even inspired Paul to publish a Marketing Agency Blueprint excerpt, Chapter 10: Pursue Purpose. What does your business or brand stand for, and do you connect with that deeper, internal (or “inbound”) sense of purpose? We are entering what Seth Godin (@ThisIsSethsBlog) calls the connections economy, in which there are no shortcuts. While connection building can be supported with marketing technologies, you still need to build individual trust. The only way to do that is by finding and revealing our authentic selves. As paraphrased from Seth’s keynote: "Connect. It's all based on generosity and art—the work of a human being doing something personal and real that may or may not work. You don't earn a connection with a discount, you earn it by being generous and an artist." To create more remarkable, meaningful marketing strategies and brands, we must look inward, and integrate our own, unique values and perspectives. In Arianna Huffington’s (@ariannahuff) keynote, she put it this way: "Inbound also means looking into yourself." How do you reconnect with your own energy and renew yourself? We’re continually moving so quickly. Success requires that we take time to connect with our own wisdom, interests and intuitions. Connect the three—customer experiences (what we do), business (how we do it), and self (who we are, and why we’re driven)—to find purpose. This last, and maybe most important message from Inbound13, is one that motivated attendees to act. Looking for an organization that has the inbound trifecta right? Charity: Water is a great example. CEO Scott Harrison (@scottharrison) leads a completely transparent business committed to solving the water crisis. The donor experience is personal and relevant—every dollar is linked to an at-need community and results. But most importantly, the business and its employees have a higher calling and commitment to their cause, which inspires others to take action. This year, our team walked away inspired by industry friends, speakers, training, new product introductions, and something deeper—that feeling of purpose and connection you don’t usually expect from an industry event. What takeaways did you have? And have they transformed what "inbound" means to you? 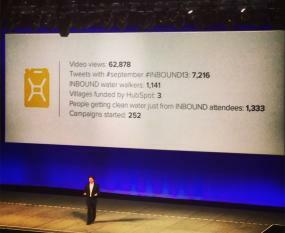 Image: Taken from Inbound13, the results of the conference's impact for Charity: Water.